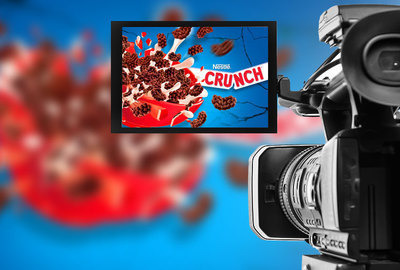 Crunch Cereals is looking for a new communication concept to engage with teens: first with fresh ideas and then with a story pitched to them through a video. Crunch will pick three finalists who will get production grants that they can use to produce the videos and to win one of the prizes. People seem to have forgotten about the superior crunchiness of Crunch. But seriously… what other Cereals can play this role? Crunch Cereals are so much crunchier that they can set you free from daily constraints and conventions in a funny way. 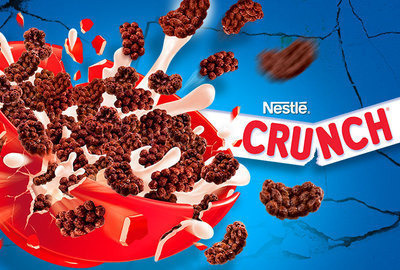 With this super crunchiness, unconventional explosive shape and indulgent chocolate taste, Nestlé CRUNCH is THE ally of teens’ breakfast. Show in a print ad how the crunchiness of Crunch Cereals can help teens break the routine and set free from conventions then imagine a story about Crunch Cereals helping teens getting out of boring situations and/or social conventions. Then “Pitch” your story through a video, letting Crunch know what your final video will look like.